WEB TIPS: Do I need Expensive & Professional Equipment for Video Marketing? Do I need Expensive & Professional Equipment for Video Marketing? Video Marketing has become a useful tool to promote your products and services online, but does that mean you should have to make your own video to promote your products and services? Mostly, people tell you that you should not make a video for your business unless, you have all the required and proper equipment like, Good light combination, latest video camera, blue screen, a newest video-editing software, etc. It is just like that you have a good gym for yoga, but you do not join it because you don’t have the trendiest and most expensive outfits, or you think that without these outfits, you cannot work out properly. And while you look for proper video equipment, take advice from experts and spend thousands of dollars to create a suitable video for your business, there are many average users who use iPhone to make a video of their cycling skills and funny Social Media Experiments; they upload the videos on to the YouTube and get thousands of subscribers. While you are hiring a makeup artist to get your hair done and trying expensive outfits to make sure your video is according to higher standards, on the other hand, without proper make-up and hair- done an internet marketer is making a video with his ordinary laptop camera on any topic regarding his business, uploading it to YouTube and making hundreds of dollars. 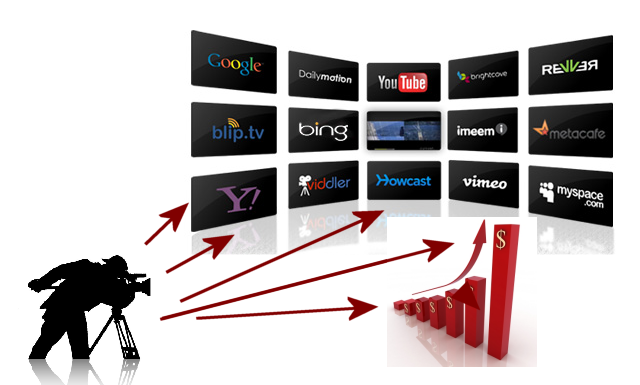 So, don’t think to acquire any particular equipment to make awesome videos of your business. Let’s just say you have enough things to make some good videos. The fact is that when you start creating videos there are some obvious mistakes but, after creating some videos you will learn lots of things like lighting, background selection and sound of video. While creating video you just have to think about the common person who is searching for the best feeding tricks for his puppy or a lady who is searching for a way to get her baby sleep. For them, the solution of their problem is important than your video’s background and make-up. The only thing you should have to create a perfect video is a bit of techniques and a computer or smartphone with a camera which suits well the format of your video. You may require video capture software to highlight the important points of video and the video editing software, which may already be installed in your system, even you can use PowerPoint for slideshows. A good video requires time and planning, think smart and be aware of your tasks and attraction of audience. Don’t worry about mistakes because you can only learn with mistakes and all your next videos will be better than the previous ones, for sure!!! Yes you needed that, but not too expensive. Screen capture video is also my first preference for online marketing. The keys to a successful screen capture video are: readability (or conciseness, if you will); the furnishing of the script; the quality of the sound produced by the microphone; and the use of right software.